I got my first parrot, a beautiful White-faced Cockatiel, in 1992 (and still have him) as a gift from a coworker. I now share my home with eleven parrots. I began volunteering for The Oasis Sanctuary shortly after that in the mid-1990’s. I sponsor a beautiful Blue-fronted Amazon parrot at the Oasis named “Blue”. I also do fundraising for the Military Macaw conservation project in Mexico, Unidos por las Guacamayas (United by the Macaws). I hold a bachelor’s degree in Criminal Justice and a certification in Crime Scene Technology, however, I currently have been working in the wireless telecommunications field since 2004. I was fortunate enough to go to Puerto Rico in 2011 to visit the Puerto Rican Parrot Recovery Program of the US Fish and Wildlife Service. In October 2013 I traveled to Puerto Vallarta, Mexico to spend a week in the forest studying the Military Macaws with the biologist from Unidos por las Guacamayas. I also have been lucky enough to visit the Tambopata Research Center in Peru to see the numerous parrots that come daily to visit the clay lick in Manu. 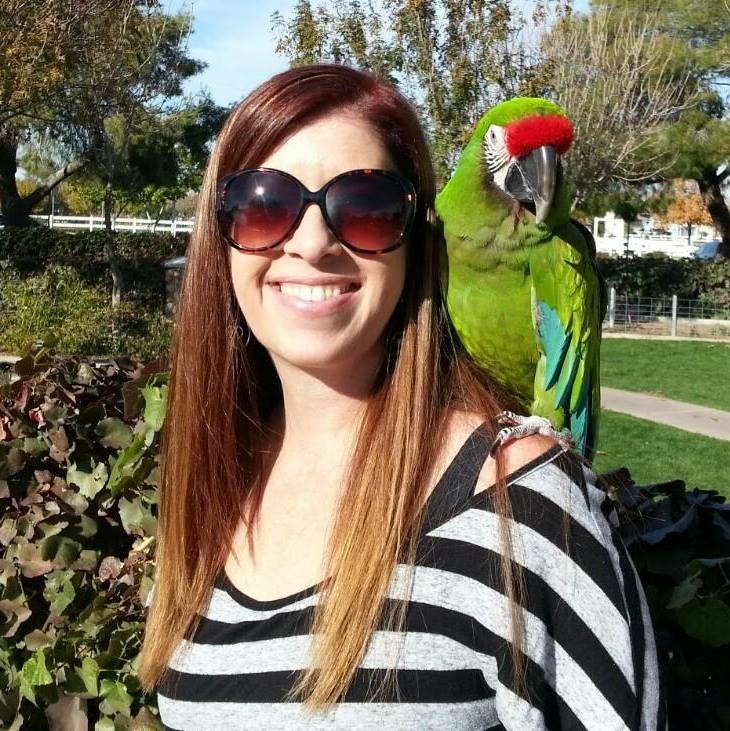 As a member of the Board of Directors I am active in managing The Oasis social media sites, advocating and fundraising for the important work we do for avian welfare.